We should know that Baso is saying that zazen is without fail `aiming at becoming-buddha.’ If we don’t `aim-at-becoming-buddha’, our zazen is not Buddhist practice. In the original story, Nangaku admonished Baso for sitting to become a buddha, but here Dogen says we should practise `aiming-at-becoming-buddha’ by just sitting and letting go of thoughts. `Zazen is always the aiming at becoming-buddha.’ Again, this `aiming’ is an illustration or expression of becoming-buddha. I put a hyphen between `becoming’ and `buddha’. Here, `becoming-buddha’ is the name of our buddha as our practice. Sometimes Dogen used the word in this way. Sa-butsu literally means `becoming buddha’, but this `sa-butsu’ is a name for Buddha. Another expression he used was `gyo-butsu’ in the Shobogenzo. `Gyo-butsu-iigi’, `iigi means `form’ and `gyo’ stands for `practise’. So, `gyo-butsu-iigi’ means `practise Buddha’s decorum’ or `Buddha’s form’. `Gyo-butsu-iigi’ is the name of one of the chapters of the Shobogenzo. In that chapter, he uses the word `gyo-butsu’ as a name for Buddha. Our practice is a Buddha named `Gyo-butsu’. Not this person, but this person’s practice is a buddha. 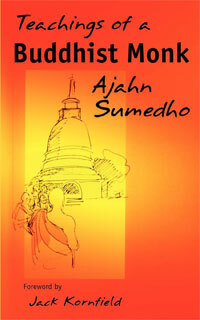 Here, `becoming-buddha’ is a name of Buddha. Our zazen as a carved dragon is an expression, illustration or painting of the Buddha whose name is `becoming-buddha’. Again, this aiming is an expression. That means, regardless of whether the mind is busy, sleepy, painful or whatever, whenever we are in the upright sitting position, we try to keep our eyes open (that means not sleeping), and we let go of whatever comes up in the mind, no matter what condition it is. That is the expression of becoming-buddha. Our practice of meditation in the upright posture which aims at awakening and letting go is always the illustration or expression of becoming-buddha. `One aiming’ means `one sitting’. We are really connected with all buddhas and ancestors and all practitioners at this moment. Our practice is not really a personal activity. We practise together with all buddhas and ancestors and all bodhisattvas and all living beings and ` . . this entanglement further entwines with entanglement.’ My practice entangles with all other people and each one of us. Each of your practices is also connected with other people’s practices throughout time and space. `Entire becoming-buddha’ means `absolute buddha’ or `dharmakaya buddha’, and each one of our practices is a manifestation or an instance of one entanglement. `We cannot avoid any single instance of aiming.’ As a bodhi­sattva, we cannot avoid this practice entangled with all beings. We have to be a part of the total entanglement of this interdependent origination. We have to be a part of the network of all living beings. We have no other way to live. 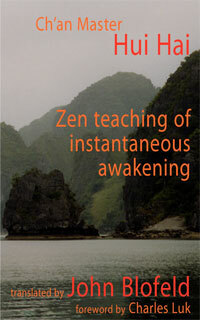 Our zazen allows us to wake up to that reality. We are connected with all beings, not only buddhas and ancestors or Buddhist practitioners, but all; not only people, but all beings are connected with this being. In our thinking, however, we cut off the entanglement and think, `I am independent. I can live without connection with other people and beings. I have to be an independent person.’ But all that is a kind of illusion. In reality, no matter how independent we are, we are still connected to all beings, and our zazen manifests that entanglement or interdependent origination. `When we try to avoid a single instance of aiming, we lose body and life.’ We should not try to do that or we lose our life. `When we lose body and life, it is an instance of entanglement of the aiming.’ That means no matter how hard we try to avoid being a part of interdependent origination, still are we entangled in it because our actions of cutting off the entanglement is also entangled with all beings. Our zazen allows us to be really there. `Nangaku then picked up a tile and started to polish it on a rock. Baso eventually asks, “Master, what are you doing?”’ This is also a very simple statement, `What are you doing?’ But Dogen’s comment is unique. `Truly, who could fail to see that he is polishing a tile?’ It is a very simple action, but he said, `Who can see it as polishing a tile?’ Who can see the true, deep meaning of polishing a tile? He again twisted it and read it not as a question but as an exclamation, `What are you doing!’ That means what you are doing is `what’. You are doing `what’. In this case, `what’ is not an interrogative word, but often in Zen literature this word is used to refer to the reality before being processed in our minds by making definitions and evaluations. Words used in similar ways would be `how’ (inmo), `thusness’ (nyo), and `like this’ (nyoze). `What are you doing!’ is not a question, but is, `You are doing what.’ You are practising this reality that cannot be named or defined or grasped. `Doing-what’ refers to doing something formless. This `What are you doing!’ or `You are doing what!’ is the statement pointing out that Baso is doing formless samadhi using his body and mind. `What are you doing!’ is the precise expression of formless samadhi that is ungraspable and immeasurable. `This doing-what is always the tile polishing.’ Tile polishing is our practice. Our practice is doing-what. `In this land and other worlds, though people are diverse, the tile-polishing has never ceased.’ In the original story, tile polishing is something nonsensical, something that doesn’t make sense. But here, Dogen is saying that what buddhas and ancestors have been practising and transmitting is nothing other than this tile polishing—this sitting using human body and mind. When we encounter something, we create a concept around it and think, `This is a mountain,’ `This is a river,’ `This is a human being,’ `That is Buddha,’ `This is a notebook, `This is a robe,’ `There is delusion and enlighten­ment’. We create those kinds of concepts, and when we put things into perceptions or concepts, we think, `Now I under­stand this thing.’ `This is a notebook and this is a person.’ When we separate or discrim­inate between this and that, we think we under­stand what this is—this is different from that. This is how we live, using our brains. Once we fix a certain concept, we are caught up within that concept. We think buddha is buddha, enlighten­ment is enlighten­ment, deluded human beings are deluded human beings. Such concepts become fixed. What Dogen is saying is that we should inquire further, `What are you doing?’ `What is this?’ `Is this really a human being?’ `Is this really deluded?’ `Is that really buddha or is it just a form?’ `Is he really enlightened?’ `Is the tree just a tree or is it something else?’ What Dogen is saying here is we should see the reality not only outside of ourselves, but also the reality inside of ourselves as well. As mentioned before, there is a painting which can be seen as either a young woman or as an old lady. We can view Dogen’s writings in the same way as that painting. Not only Dogen’s writings, we can also see our lives in that way. Our lives can be the expression of Buddha’s enlightenment. Our lives can also be the manifestation of samsara. Actually, we create great pain and suffering. We suffer as a karmic self. Sometimes we feel that being with a particular person is like hell. Sometimes it seems as if we give each other only pain. We can create such a situation, and often do. That is why there are so many problems and suffering in society. That, however, is not the only way of viewing this world; it is just one way of viewing it. There are many other ways of viewing the same reality. Nothing has a fixed self-nature. Because we are connected to all beings, all beings are connected. We fight each other and make problems for each other, but we can also create nirvana by offering something, by helping each other. By supporting each other we can create a completely different world. When we are only trying to get things from the world to satisfy our desires, then our world becomes the realm of hungry ghosts. We can also be like animals or human beings. Animals are happy when their stomachs are full, but human beings are not. We human beings want something more than food. We might look for fame and wealth. We might want more even when we have too much nourishment, too much food. We might want to be assured that there is enough food for tomorrow, or for the next ten years, or even for a time after we have died. That is the difference between animals and human beings. What Dogen is trying to say here is that we should see reality from different angles, from different possibilities. Reality is not fixed. That is another meaning of `no form’ or `emptiness’. This is a tile, but still it can be a mirror. This is a deluded human being, but still by using this deluded body and mind we can express buddhahood, we can express selflessness, we can express real interdependent origination. `Master, what are you doing?’ is not a simple question. But this is our practice, so we should keep asking, `What am I doing?’ Our actions can mean more than one thing. For example, when I was in Massachusetts, I was working with others to establish a Zen community. We had bought a piece of land in the woods, but we didn’t have a well and we didn’t have a house. The first thing we did was cut the trees and dig out the stumps. Then we dug a well, built a small house and zendo, and made vegetable gardens. This was for the sake of dharma, but because of this activity, I killed many living beings. Was that a buddha’s practice or killing? It was killing. But still it was for the sake of dharma. This is only one example, but there are many more. Almost everything we do in our daily lives can mean more than one thing. Even if we do things with a good motivation to help someone it can be harmful to others. We need to carefully see every action from different angles. Our practice is not so simple that when we sit in zazen, we auto­matically have fantastic experiences, become enlightened and no longer have problems! Our practice is not such a simple matter, at least it is not according to Dogen. Even when we are practising buddha-dharma, or buddha’s practice, still we may harm others. What we need as a bodhisattva practice is repentance. Of course, taking bodhi­sattva vows is important, but within each line of those four bodhisattva vows, there is a basic contradiction. Sentient beings are numberless, we vow to save them. This means to save them all. But if sentient beings are numberless, how can we save them all? At no time could we fulfil such a vow! In Buddhism there are two kinds of repentance. One is ji, that is the repentance we make when we make mistakes, and we might actually say, `I’m sorry for doing that. I will try not to make the same mistake again.’ Another form of repentance is li. In a Mahayana sutra it is said that sitting in zazen and seeing the reality of all beings is repentance. 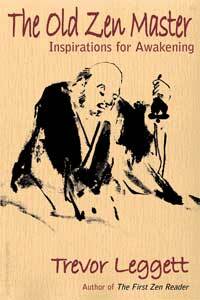 Our zazen is repentance in which we awaken to the incompleteness of our practice. We don’t need to say `I’m sorry,’ but just to acknowledge our incompleteness. This kind of repentance encourages us to practise more and also makes us free from the bad karma created by doing good things. 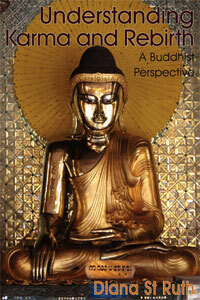 Part 7 First published in the November 2005 Buddhism Now. The idea that when we sit we are entangled with all the Buddhas and Bodisattvas and all others blows me completely away. What a concept. And that was only a piece of it. I loved this series. I would love to hear more of his explanations of Master Dogen. I will read it many times.